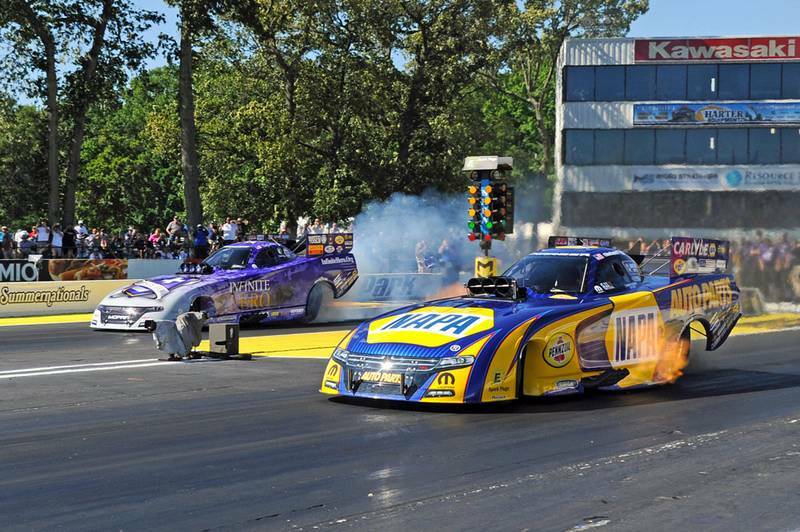 ENGLISHTOWN, N.J. (June 12, 2016) – Nearly every nitro team at Old Bridge Township Raceway Park was challenged to find a tuning combination that would conquer the 130-degree racing surface Sunday on the final day of the 47th annual NHRA Summernationals. One team, however, was undaunted by the traction depleted surface. 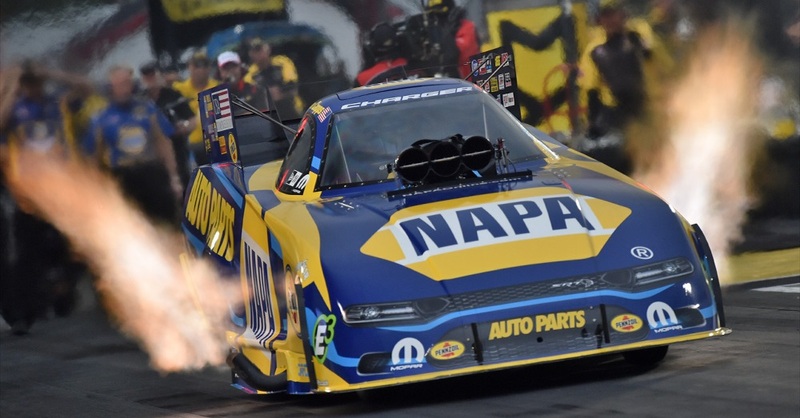 The NAPA AUTO PARTS Dodge Charger R/T led by masterful crew chief Rahn Tobler and his assistant Eric Lane had everything calculated to perfection, and with the NAPA Know How crew directed Ron Capps to his second NHRA Mello Yello Drag Racing Series title in six days. 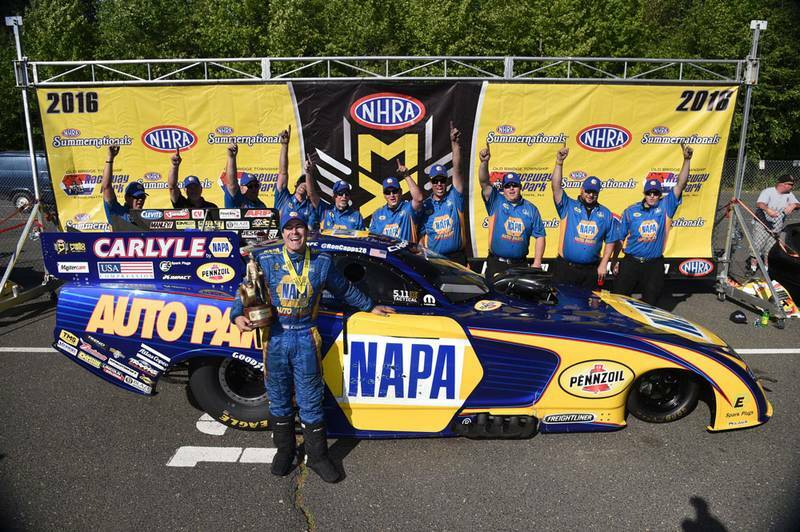 The NAPA squad also helped Capps get the No. 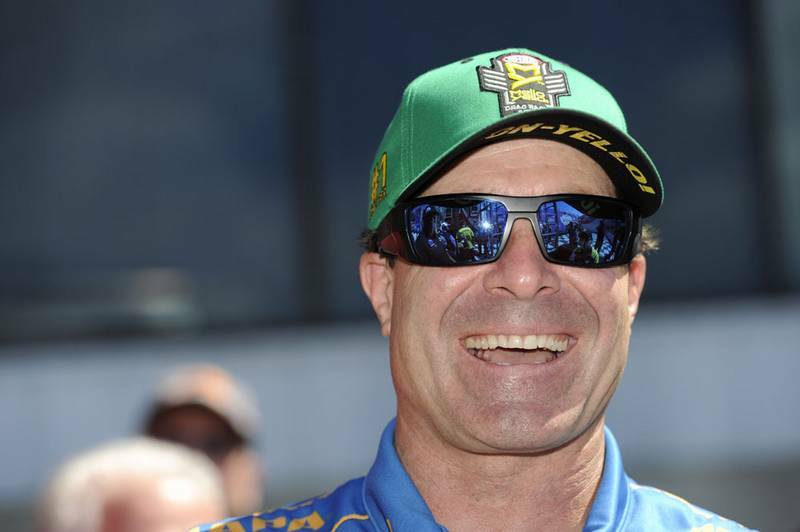 1 qualifying spot for Sunday’s eliminations marking the first time he has ever been on the pole in back-to-back races. 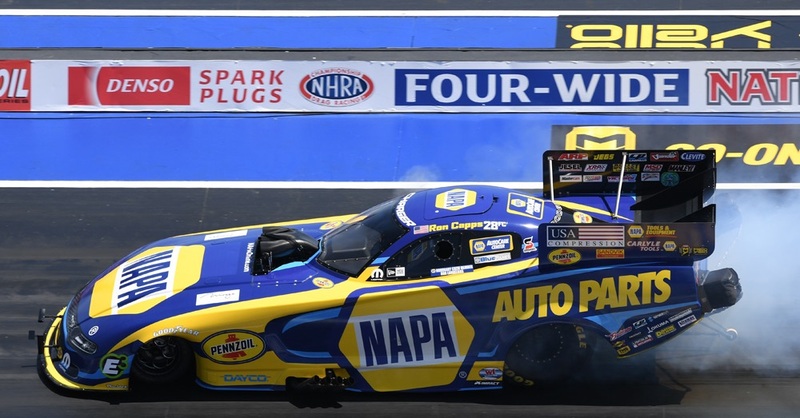 And one more thing, Capps is the new points leader in the Funny Car category after defeating Don Schumacher Racing teammate Jack Beckman and the Infinite Hero Dodge. “It’s great. 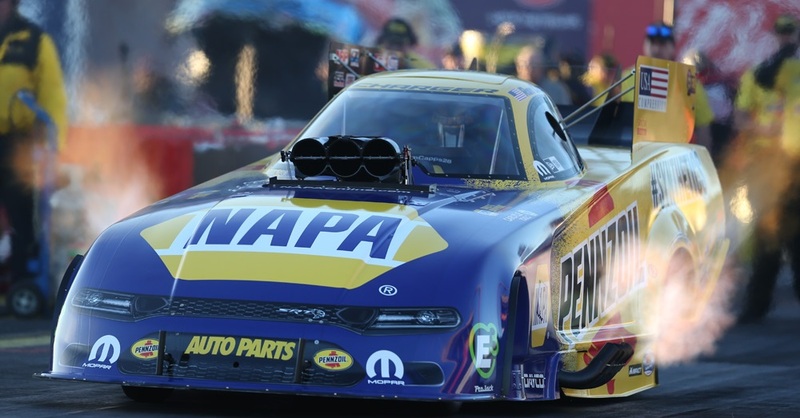 It’s something you hope will happen at the end of the day,” Capps said. 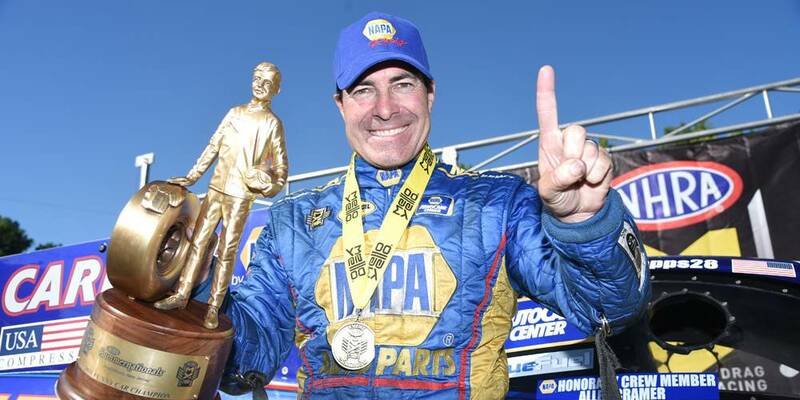 “Rahn Tobler’s given me such a fun car to race. I almost felt embarrassed driving this car today because it’s so good. You just don’t want to mess up when it’s that good; it’s yours to lose. 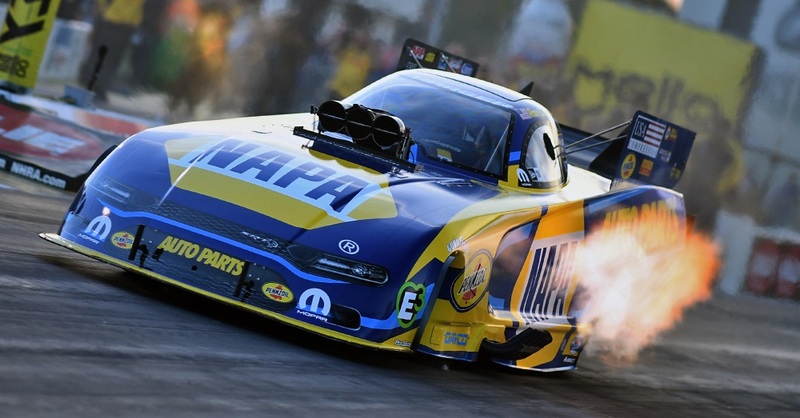 “To dream about being a racecar driver when you grow up – which is a big enough thing to dream about – but to be one and have a racecar like this is something you really dream about. I’m just trying to ride the wave and enjoy it.